From mobile optimization to best practice visual merchandising, we walk through the highlights of the day's events. We hosted our debut annual Customer Conference on June 27th at Soho’s Century Club to bring our community of customers together for the very first time. The event was designed to give our customers the opportunity to learn more about how they can use our solutions to the best of their advantage, while giving everyone the space to learn from industry experts and each other. It proved to be very popular, with 100% of attendees wishing to return for next year’s conference. Browse our event video for a snapshot of the day, followed by our highlights and our top 5 takeaways. The day began with a buzzing panel discussion on the ever-popular subject of mobile optimization. We all know how important mobile phones have become in everyone’s life. But optimizing your online shop to perform brilliantly on such devices is still a challenge for many retailers. 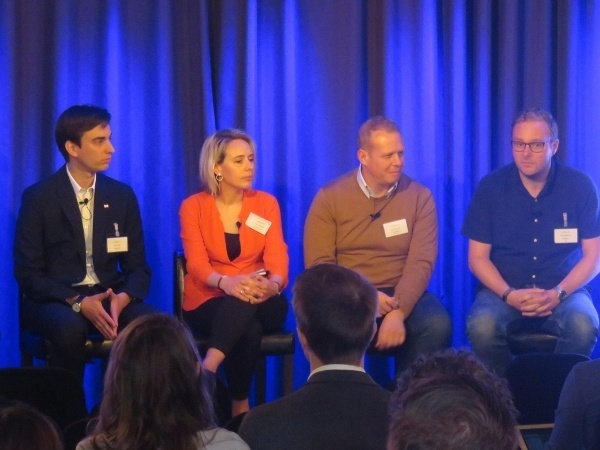 Panelists emphasized how many businesses aren’t yet designed to think about mobile on a daily basis given their desktop-focused office set-ups, and they offered suggestions to remedy this by encouraging brands to question their own mobile approaches. Should retailers be fussing so much about ‘developing a mobile app’ just because others have done so? Should we think more carefully about mass copy production when really, it’s the images that are generating engagement when it comes to an Instagram-obsessed iPhone generation? Such points were explored deeply and gave everyone some food-for-thought about how to approach mobile optimization going forward. The afternoon gave customers the chance to meet Attraqt experts to learn more about making the most of key Fredhopper and Freestyle Merchandising functions, from reporting and personalization to new features like visual recommendations. The sessions also gave everyone a chance to interact and network in a friendly atmosphere (with additional help from the Century Club’s copious glasses of prosecco, wine and beer). 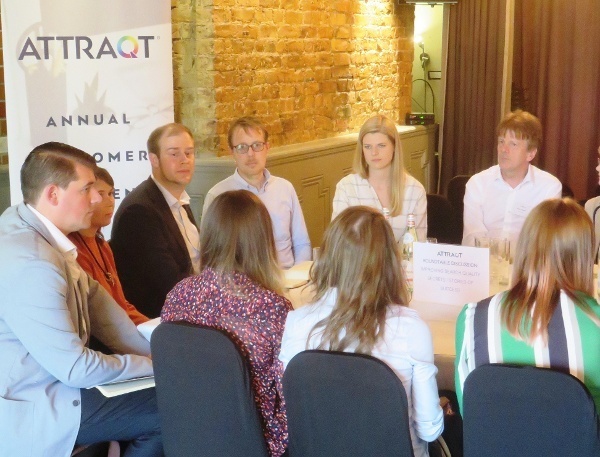 Andreas Brueckner, James Wilson and Katie Woodhead followed the product demo sessions with 3 outstanding roundtables that invited lively debate. It was clear that retailers are facing similar merchandising challenges yet taking different approaches. Many retailers emphasised the lack of a ‘one-size-fits-all’ approach but shared frank opinions about best practices, which benefitted everyone involved. When it comes to personalization, brands haven’t yet mastered this approach, but are using a variety of tactics with assistance from the Attraqt team to master this tricky area. With onsite search, multi-channel approaches to optimization are crucial as well as the use of data to inform strategic decisions. Many lessons were learned by all and will inform the development of future Attraqt services. Please follow up with our Customer Success team who can guide you on these topics and developments. The afternoon keynote speech led by Julian Burnett, the former CIO at House of Fraser, was the standout pick-of-the-day for many thanks to his charismatic presentation style and sharply in-tune opinions. His refreshing speech got to the essence of the problem that many retailers face in today’s internet-driven sales climate – many are having to rapidly readapt to become tech-driven businesses backed by strong software solutions like Attraqt if they want to survive in an intensely competitive market. The speech was a thought-provoking end to an action-packed day that was laced with valuable insights and learnings for all. 5) Community spirit: Attraqt is a community of eCommerce experts working together with a shared common goal. We are improving online shopping experiences for a wide variety of people by sharing our resources and technological expertise.